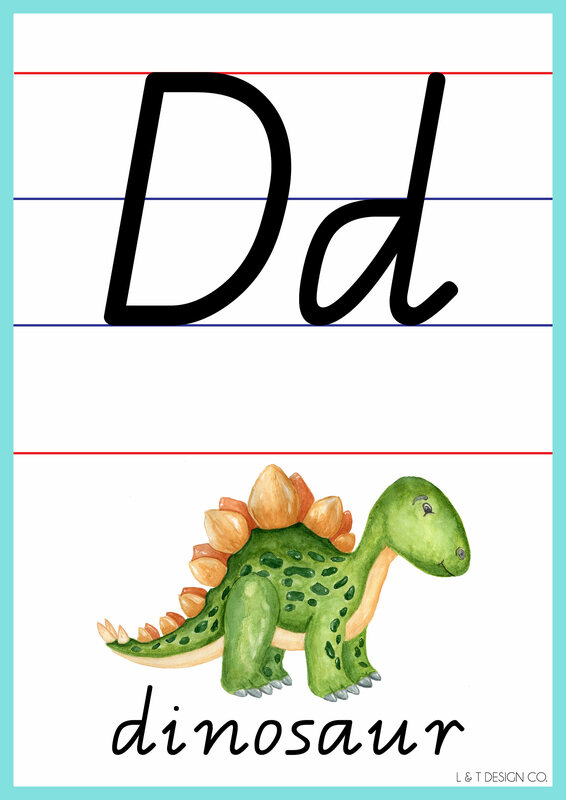 A beautiful set of 26 A4 Alphabet cards. 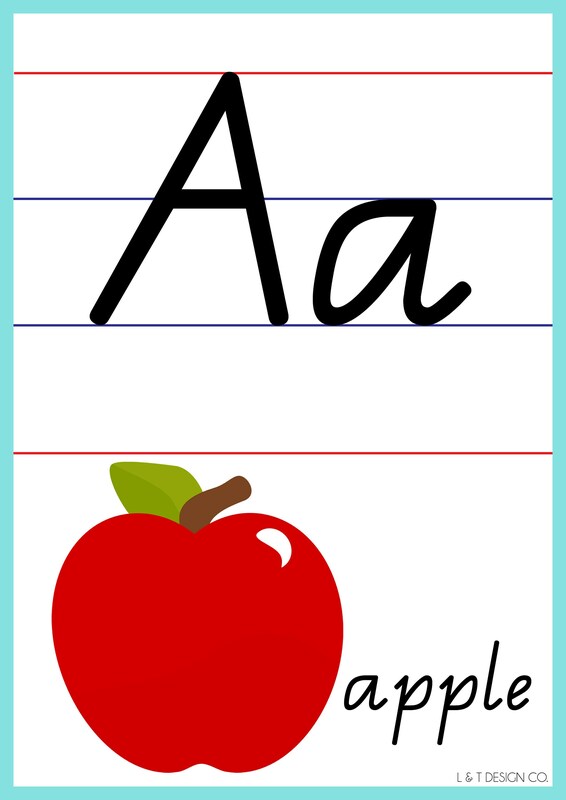 Each letter features on a separate A4 Sheet. 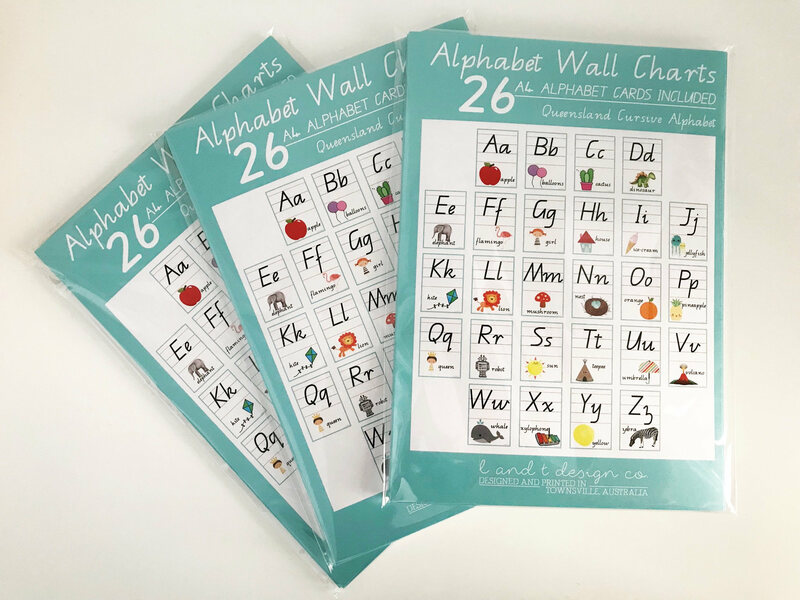 Designed by an Early Childhood Teacher (me), these trendy and colourful Alphabet Cards would make a great addition to a classroom or early learning space. 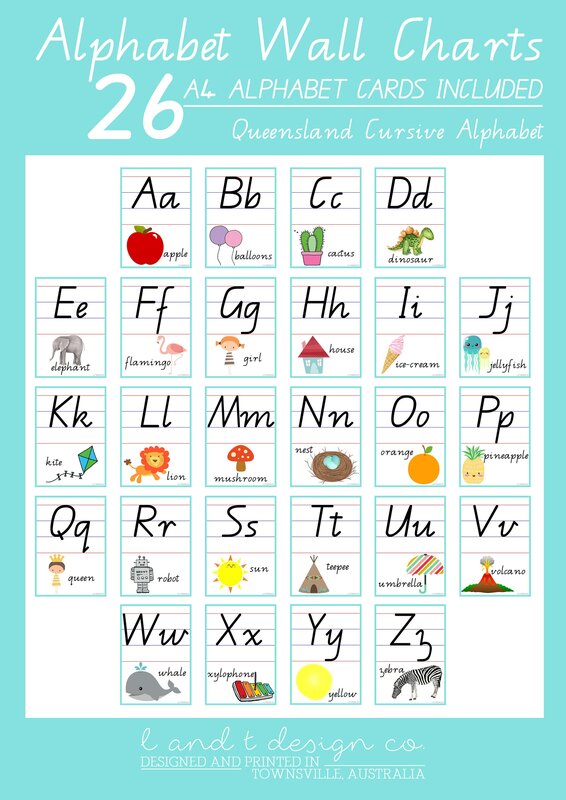 These Alphabet charts feature the Queensland Cursive Alphabet, and the red and blue lines used in grade two and three in Queensland, allowing the children to see the correct placement of their letters on the lines. 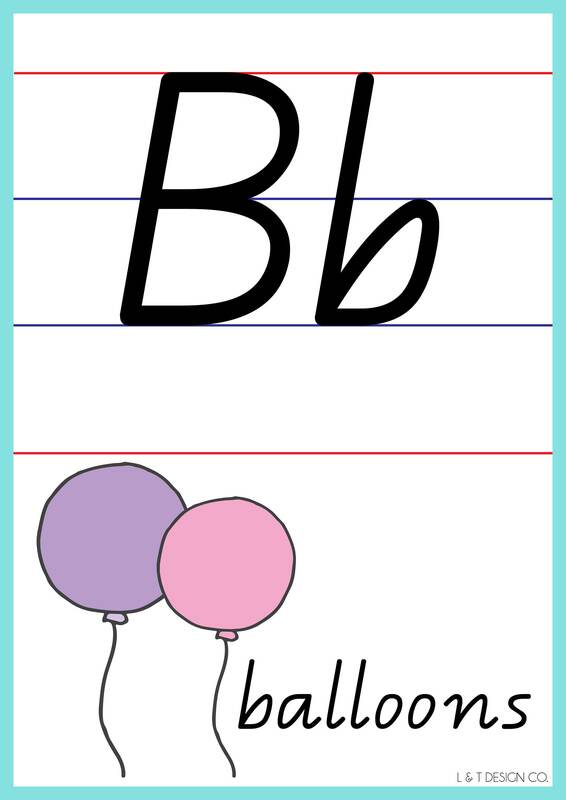 I also make these in the Queensland BEGINNERS font ~ please see my other learning resources. 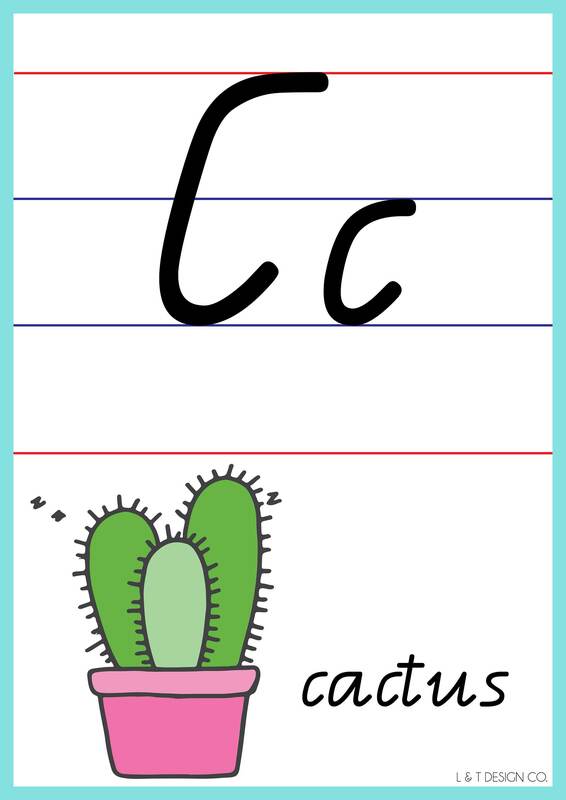 Printed on smooth cardstock, ready for you to laminate, or hang as is. Postage: All of my Prints and Print Sets are posted in a rigid mailer, with cardboard backing sheet and sealed in a cello bag for protection.